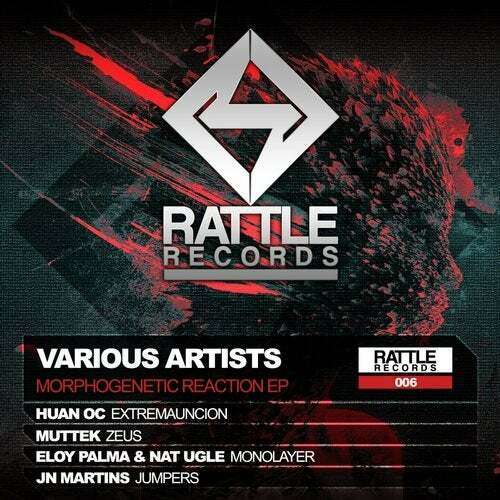 Rattle Records 006 VARIOUS ARTISTS - Morphogenetic Reaction EP. In our sixth reference we have prepared a great EP, containing 4 tracks produced by producers from the south of Spain (Granada) HUAN OC - Extremauncion, MUTTEK - Zeus, ELOY PALMA & NAT UGLE - Monolayer and JN MARTINS - Jumpers. All of the tracks are part of a forceful Techno, full of festive atmosphere and overwhelming bass sounds which can be found in this EP.